You are hiring a Professional Building Consultant / License Inspector. When you hire a building consultant/home inspector, you are hiring an experienced professional who has training and experience in the building industry. It is the job of the consultant to not only evaluate the condition of the house’s major systems and structural integrity, but also to evaluate how these systems are working together and identify areas that need to be watched, repaired or replaced. Your home consultant will give you the “Big Picture” analysis of the house. 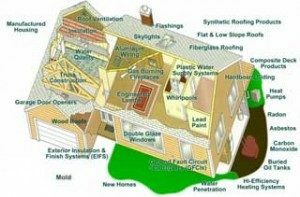 If the building consultant identifies the need for a costly, detailed analysis of any of the home’s systems or structural components, the inspector will recommend the appropriate professional, which may be an experienced engineer or a qualified licensed contractor or specialty tradesman with expertise analyzing that particular system or structural component. The need for this kind of expensive, detailed analysis is rare. All Pro Home Inspection provides complete home inspection services for the Real Estate Community in Buffalo and all of Western New York. Our Consulting/Home Inspection service is a visual inspection of the structural elements and systems which are accessible. The inspector will view the properties with you explaining everything in detail, so you understand it, including the visual limitations that may exist. The training and experience give our inspectors the insight about houses similar to yours, so they really know what to look for and can readily compare your house and its systems with other houses of similar age and condition. All homes have strong and weak points, and they are not always what they seem. The systems that we have incorporated into our company will allow you to gain the perspective and sound information you need to make better decisions. A thorough inspection of your home will be conducted, inside and out. All inspectors that we refer from our office are licensed in the State of New York. They have performed thousands of inspections. In addition to their experience they are required to have continuing professional education. Besides being licensed in NYS, each inspector has been personally trained by John Villella, Master Inspector and owner of All Pro Home Inspection. In addition to their technical competence, they offer a helping attitude, good communication skills and mature judgment in performing inspections. All inspections are performed in accordance with the New York State “Standards of Practice” and “Code of Ethics”. We strongly encourage all of our clients to accompany us during the inspection. You should feel free to ask the inspector any questions you may have during the inspection process. The inspector will explain everything in detail, and make sure you understand the findings., including the visual limitations. 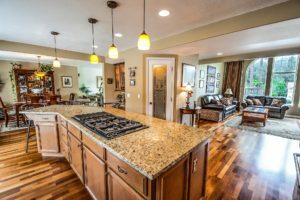 Training and experience give inspectors insight about homes similar to yours, so they know what to look for and can readily compare your home and its’ systems with other homes of similar age and construction. Plus, we will explain what routine maintenance is needed to keep the home in top condition. This will help you to get the most benefit from the inspection and gain the most understanding of the systems that make up your home, and how to maintain them. If you would like to know more, please contact me for a personal consultation, or to schedule an inspection.